‘Concours Européen des Ambassadeurs du Champagne’ or European Champagne Ambassadors Awards Competition (to those who aren’t brushed up on their French) was started in 2005 by the Comité Champagne designed to honour the professionals who contribute to improving knowledge, understanding and appreciation of the diversity of Champagne wines by conducting training activities’. The UK’s Simon Stockton, founder of Sugar and Yeast, won the competition and has become the 2015 UK Champagne Ambassador. He fought off Heather Dougherty and Godfrey Spence to win the award and was up against a highly recognised tasting panel, including two masters of wine. 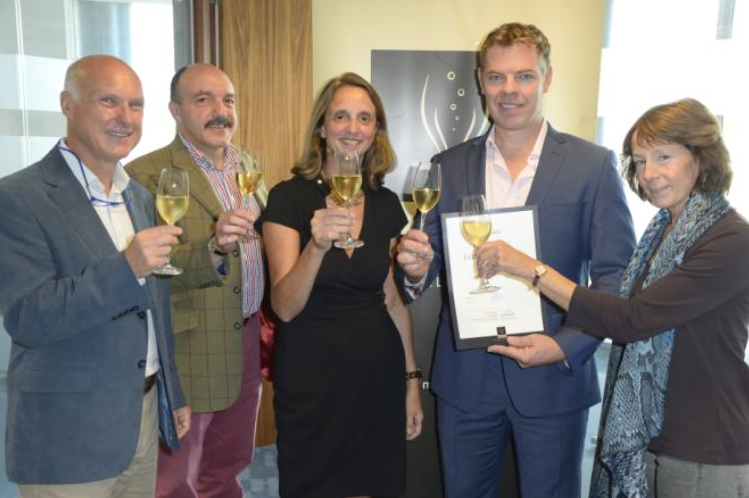 Judges Richard Bampfield MW, Gerard Basset MW, Carol Whitehead and Françoise Peretti collectively decided that Simon was the best man to represent the UK in the European final held on 28th October 2015. This years theme ‘Reserve Wines’ included the tasting of four different Champagnes, with contestants using their vast knowledge and expertise to talk about each Champagne with as much detail as possible. Judges were also scoring on how well each contestant engaged and communicated each Champagne. The competition is open to any wine-enthusiast with any experience, whether it be on a professional or amateur level. The only rule is that the contestant must practice their training activities in the following participating countries: Austria, Belgium, France, Germany, Italy, Spain, Switzerland, the Netherlands, and the United Kingdom. Simon has won a tailor-made, behind the scenes trip to Champagne for a week commencing on 25th October and ending with the European final and gala dinner to celebrate all the hard work put in by the contestants. With UK winners, the largest Champagne export market, having a great success at the previous Awards with 5 UK finalists previously awarded European titles including 2 first prizes (2006 and 2009) and 3 second place prizes (2005, 2011 and 2013) Simon will fancy his chances against the other European competitors.